The Western Odisha Development Council (WODC) Act,2000 as amended vide Orissa Act 8 and 14 of 2001 & 2003 respectively provide for the establishment of the council with the prime objectives of the accelerated development and advancement of the people residing within 10 districts and one sub-division of Angul district of Western Odisha. The Act empowers the Council for all round socio-economic upliftment, Educational & Cultural advancement of the people residing within WODC area. 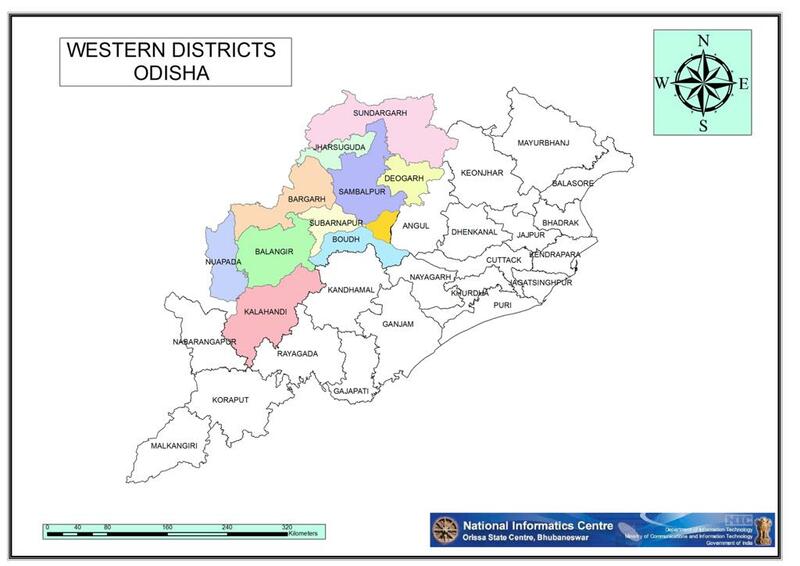 The Western Odisha Development Council comprise 10 districts i.e.Bargarh, Bolangir, Boudh, Deogarh, Jharsuguda, Kalahandi, Nuapada, Sambalpur, Subarnapur, Sundargarh and Athamallick Sub-division of Angul district. The Council comprises 26 members including the Chairman. The Chief Executive Officer (CEO) WODC is the Member Secretary of the Council. Two Members of parliament (Lok Sabha) and eleven Members of Legislative Assembly (MLA) elect partly or wholly from Council area are nominated to the Council by Government on rotational basis for a term of two years. Ten experts having excellence and expertise in the field of planning, Finance & Accounts, Public Administration, Social Service, Education, Agriculture, Industries, Irrigation, Public health, Forestry, Mining, Public work, Employment or management of people’s problem are nominated by Govt. to the Council. Revenue Divisional Commissioner of major area coming under the Council i.e RDC (ND), Sambalpur is also a member of the Council. Recently RDC(SD) has also been nominated to the Council as a Special invitee. The Council prepares its own Annual Budget for the Council area basing on the Grant-in-Aid received from the State Government. The Council receives a enhanced Grant-in-Aid of Rs.100.00 crore annually since the financial year 2008-09.Out of the total Grant-in-Aid, Rs.50.00 crore and Rs.30.00 crore is approved in main budget as Special Grant and Normal Grant respectively. Besides, Rs.20.00 crore is allocated as normal grant in the supplementary budget. The Western Odisha Development Council aim at a faster growth process in all the districts of the Council. As per the recommendations made by the P.C Ghadei Committee in the year 1994, out of total 89 blocks existing within the Council area, 34 Blocks has been categorized as very backward and that of 25 no. of Blocks as backward. Accelerating the pace of development in these 59 Blocks has been the major thrust of the Council. Beside 38 Blocks out of 89 Council Blocks have less than 35% of irrigation potential of total cultivable area. To commensurate with the state initiative in creation of irrigation potential of atleast 35% of cultivable area in each Block, river lift irrigation facilities have been given thrust by the Council. These irrigation projects have short gestation period, easy management by Panipanchayat, better efficacy for survival of crop in rain-fed area of Western Odisha. Conservation of water has been receiving priority at par with horizontalexpansion of irrigation coverage. Land being highly gradient in the Council areas, the rain water simply runs down to the discharging point. Taking into account the limitation of storage scheme and their long gestation period, the state Government is keen to utilize a part of the surplus surface runoff flowing down to the sea through interventions such as Check Dams or in stream storage structure in small rivers/streams. Water Resources Dept. have taken initiative for such Check Dams/Anicut on river/streams of nearly 40 to 50 meters width. To supplement the Government initiatives of building the instream storage without creating displacement effect, the Council has laid emphasis on construction of Check Dams on rivulets, which are not covered under Water Resource Department. This process will facilitate storing of water, recharging of ground water and provision of incidental irrigation in both the sides of the Check Dams. Importance has also been given for creation of WHS, renovation of existing Katas/Bandhas for similar purposes. Education being the lifeline of human capital development, it has also been given adequate importance in the Council budget to bridge the gap in existing State & Centrally sponsored schemes. Similarly, Health ,Energy and Drinking water projects have also been given due importance keeping in view the requirement of people. To enrich the quality of life of people of western Odisha, emphasis is given not only to address the minimum needs but also to other amenities such as Park, Community Centers, Kalyan Mandaps, Cultural Pendals/ Mandaps, Bathing Steps Cement Concrete Graveyards, Smashan Ghats etc. The socio-cultural set up and heritage of people of Western Odisha depict a spatially dispersed hamlets/villages where in developmental challenges are galore and provision of basic requirements on population policy basis will trickle down in a slow pace. In this background, WODC fund will go in a longway to supplement the Government initiatives in the realm of development in the Council districts.